Birdstopia – Idle Bird Clicker, as they call it, is a clone of TapTap Fish/AbyssRium (to a rather severe extent). It’s a mobile clicking game focused on ornithology (that’s the study of birds, or the technical term; birbs) with a nice flat design style. It’s out now for iOS and Android. Since I did a guide for AbyssRium and this game copied about 70% of it’s gameplay directly from Abyssrium I thought I’d make a guide for it in case AbyssRium fans take a liking to it. Feel free to ask questions in the Comments section below. As a mini review it certainly won’t blow you away as it’s clone-status is pretty visible, but it’s a nice change of pace if your idle game of choice has slowed down and you want that feeling of a fresh game with reasonable progress again. The bird theme is certainly a plus. 2017-10-16: Guide abandoned for now as it seems the devs are not interested in improving the game and it gets effectively impossible around N resources. 2017-06-06: According to the dev on Facebook, some tweaks and a new Event is sheduled to be released at the end of June. I’ll come back and edit this up if the changes make it worth playing where I’m at. 2017-05-11: So the game is effectively impossible upon reaching the M level of resources and no fix in sight. Work is largely abandoned until the game actually works. 2017-04-18: The Lovebirds event has started, began adding info on it. 2017-04-16: First version of guide & global release of the game on Android. The game plays much like a standard mobile clicker, with an extreme similarity to AbyssRium as noted above. Best I can tell no, Birdstopia doesn’t have the “hidden” aspect of AbyssRium, you just buy the bird you want from the list and no strange tasks (outside of events) yield any secrets. The core of most clickers, pressing the screen a lot is largely the point of Birdstopia. 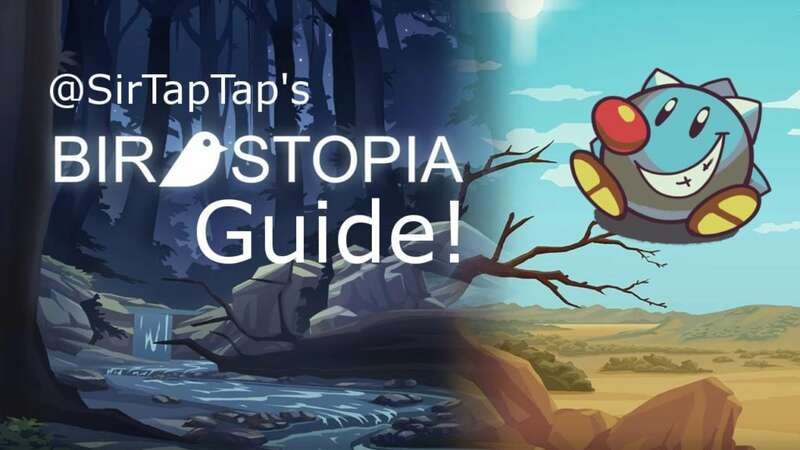 Birdstopia unfortunately doesn’t support multitouch and even tapping too fast can fail to register, so the fastest way to tap seems to be alternating two fingers. Another cornerstone of idle games, Birdstopia pretty much steals the three main skills from AbyssRium wholesale. Standard autotap, taps for 10 times per second for 5 minutes. Produces 6000 times your current resource per tap value, instantly. Increases total resources production (per tap and per second) by 3.5 times. Habitats are Birdstopia’s versions of Coral from AbyssRium. Habitats earn Resources per second, and at least at first they’re majorly under-productive compared to manual tapping. You can double the Resources earned while you were away from the app by watching an ad or spending 10 gems. I wouldn’t recommend spending the gems. Watching the ad I’d only consider it worth it if it was a particularly large amount of Resources. Birds multiply your earned Resources per tap/minute. In Birdstopia you just buy one of each bird and upgrade them unlike Abyssrium. Upgrading prior birds always costs a set percentage of buying a new bird. This means the costs will go up as you unlock more birds, but it should always be roughly the same relative cost meaning roughly the same amount of play time will still be needed for an upgrade no matter the absolute value of the upgrade cost. Generally speaking you’ll want to upgrade all your prior birds to max (they level to 9 or 10 depending on the bird) before buying a new bird, especially if Resources are coming easily to you. This is because if you have a stockpile of extra resources upon buying a new bird, it rapidly becomes valueless as the price increases. Quests give you a quick task to get some extra Resources. They’re not really that valuable, but they give you something to do. Tap the tree: Easy, just tap the tree a lot. Tap Birds: Tap birds with the leaf (resources) icon over their heads. Not really impressive amount of resources considering how slowly the birds’ resources spawn. Take photos of birds: These only show up when viewing a habitat, and are low effort but they make photos that waste space on your device. Watching ads gives a somewhat small amount of Resources, but it’s multiplied if Rainbow is in effect. Don’t bother using this without rainbow IMO, and make sure the amount is worth the annoyance. It can vary in relative worth pretty widely. The “food” tab offers Resources in exchange for gems at an insultingly terrible exchange rate. Do not even bother as they offer a single cast of the Birdsong skill’s worth of Resources for enough gems to upgrade several skills. Gems are for skills, not this. Watching ads seems to very often not give you the reward. It’ll let you view another ad right away but you still won’t get the reward. Closing the app and re-opening seems to work. Hopefully it’ll be fixed soon, but if you start noticing this bug and closing doesn’t fix it, I’d stop watching ads for a while. Birdstopia apparently has events just like Abyssrium. Tap Birds with feathers over their heads to collect feathers and spend them on new exclusive birds birds. 150 feathers per bird. Unlike AbyssRium, Rainbow does NOT multiply feathers earned per tap. Feathers are confirmed to carry over to the next event. Every 200 taps on screen you can unlock a Golden Egg; basically it lets you watch an ad for 8-10 feathers. Not really that impressive, but it can help you get through the “watch ads” achievement faster (yeah, mobile games love ads, they pay for the games. Ads pay for my site so I won’t complain too much). 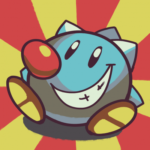 Unless you intend to drop large amounts of money, Achievements will probably be your main source of gems for the game. Most achievements give gems in the order of 30/60/90/120/150. Cheese gives less, starting at 10. Share pictures. You can cheap this out by just tapping the share button and exiting the following Share prompt, then tapping share again. Good early source of gems. Next Next post: Fan Art: Happy Birthday from Rad!